Since taking power almost a year ago, Doug Ford's government has made many changes to provincial programs. Here's a rundown of what's coming into effect on April 1. 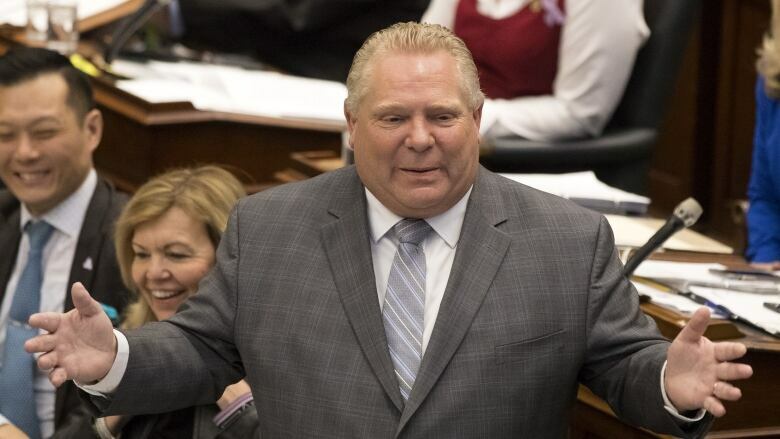 Since taking power almost a year ago, Ontario Premier Doug Ford's government has made a series of changes to programs in the province that are set to kick in April 1. Under the Liberals, all people under 25 got free prescriptions for a list of 4,400 medications as of Jan. 1, 2018. When the Progressive Conservatives came into power, they made changes. As of April 1, those under 25 will get taxpayer-funded prescriptions only if they're not covered by a private drug plan. This means parents may have to pay out of pocket if maximum limits have been reached under their plan or if the plan does not cover a particular drug. Lindsay Parks's two-year-old son Malcolm is battling acute lymphoblastic leukemia and takes an expensive chemo drug that his mother's private insurance doesn't cover. She's currently applying to the Trillium Drug Program, which helps families who spend at least three to four per cent of their after-tax income on prescription medication. "There's a little bit of a gap," said Parks. The PC government says its change will save at least $250 million. The controversial changes Ford's government has made to the province's autism program also kick in April 1. In early February, Minister of Children, Community and Social Services Lisa MacLeod announced cuts with the goal of eliminating the wait list for government-funded treatment for roughly 23,000 children on the autism spectrum. The Ford government's program would fund families up to $20,000 a year for children under six, and $5,000 for children between six and 18. Families making more than $250,000 annually would not be eligible. Making more services eligible for that funding. Extending therapy children are currently receiving by six months. Consulting on how to support children with the highest needs. "Our plan was the right one," said MacLeod. "It still is the right one — we're just enhancing it." 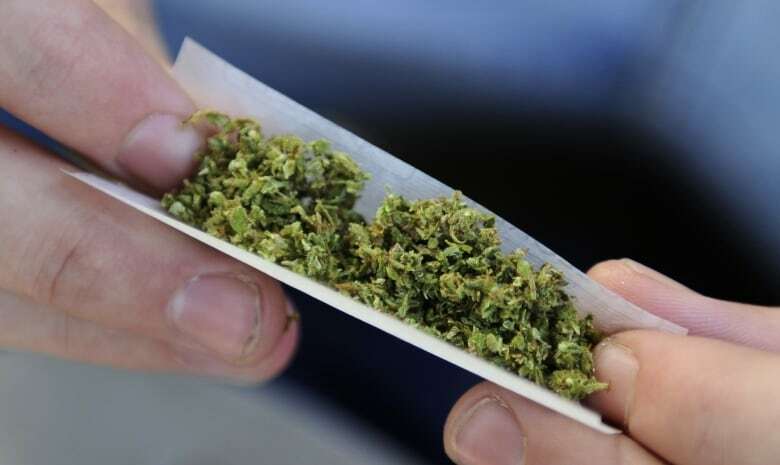 The province's first legal bricks-and-mortar pot shops are set to open Monday, though it appears not all of the 25 licence applicants are ready. Only 11 licences have been issued so far province-wide. In Toronto, only one of the five proposed shops told CBC News it would be open for business. Ontario NDP deputy leader Sara Singh said the PCs didn't give the lottery winners enough time to open. "[This is] pushing people to the illegal market for their cannabis," she said. Ontario is the last province to open physical stores. Following the federal legalization of cannabis Oct. 17., it has been legally available only from the government-run online store. Drive Clean came under fire for making the government millions of dollars even though it was supposed to be revenue neutral. Under the program, drivers had to get emissions testing every two years on cars and light-duty trucks more than seven years old. In September 2018, Doug Ford announced the program's cancellation, declaring it outdated because the auto industry adopted more stringent emissions standards. The government said only five per cent of vehicles failed the test last year, compared with 16 per cent when it first took effect. "We are shifting the focus from family cars to the biggest polluters on the road," Ford said, referring to transport trucks. The province says it expects scrapping Drive Clean will save taxpayers $40 million a year. Environmental groups cautioned against letting drivers off the hook. The federal government's carbon tax — aimed at putting a price on carbon and reducing the greenhouse gas emissions that cause climate change -— kicks in Monday. A "backstop" will apply in four provinces without their own carbon pricing system (Ontario, Saskatchewan, New Brunswick and Manitoba). Essentially, it's a charge on gasoline, light fuel oil, natural gas and propane. The federal government has promised tax rebates to offset the cost. Ford and his ministers have been fighting against the carbon tax for a year, saying it will cause a "recession." "If we're hitting [the federal government's] targets, then why do you want to impose this carbon tax that's going to hurt families?" said Environment Minister Rod Phillips. 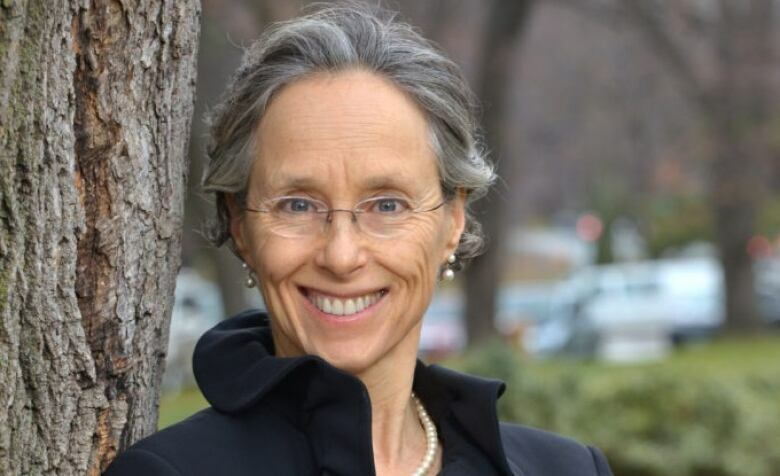 The province's environmental commissioner position, most recently held by Dianne Saxe, is officially eliminated and will be absorbed by the auditor general's office. Green Party Leader Mike Schreiner called it a "tragic loss." Saxe, who issued her last report on Wednesday, said the province cancelling energy conservation incentives was counterintuitive. "It means cutting off our nose to spite our face," she warned. Phillips said his climate plan will reduce greenhouse gas emissions by 30 per cent. 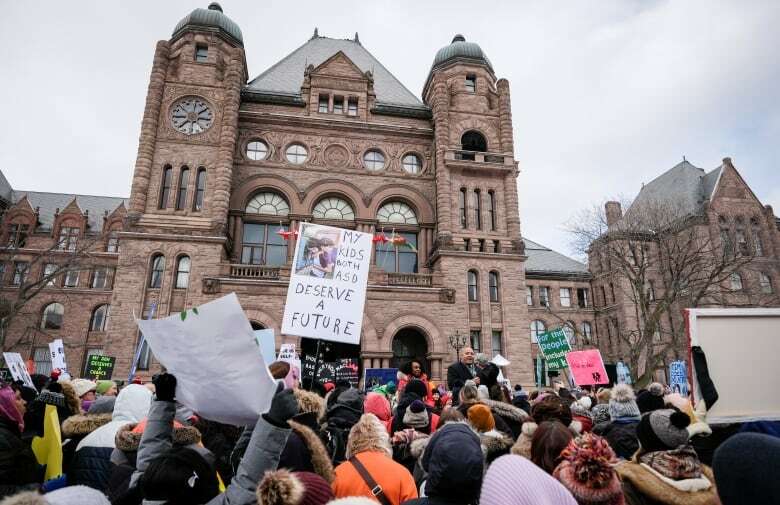 The same day the province announced it was shuttering the environmental commissioner's office as of April 1, it also said the Ontario Child Advocate's office (and the French-language services commissioner's office), would be rolled into the ombudsman's by May 1. Critics said the move would erode government accountability, while the PCs said it would not put children at risk. "I can assure everyone in the legislature that the fiercest child advocate in this province will be me," said Macleod, the social services minister. Meanwhile, Irwin Elman, who was appointed in 2008 and has been the only person to hold the role in Ontario, said he worries for the province's most vulnerable children, calling the closure of the office a "lost opportunity" to build on the work it has done. Irwin officially left his post at the end of March. 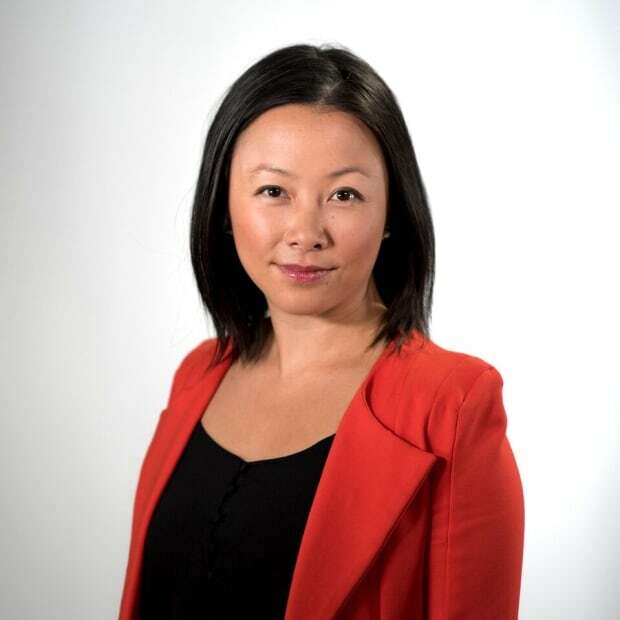 Lisa Xing is a journalist by trade and a historian by degree. She's also a creative writer, photographer and traveller, dabbling in camping, canoeing and crafting. Email Lisa.Xing@cbc.ca.